Why do you sniff and lick the carpet? You are starting to make me wonder if there is something secret hidden underneath. When we are on walks, why do you shove your nose into the ground and snort? Is a a secret remedy for clearing sinuses? What is it about rustling plastic bags that makes you so suspicious? Are the bags whispering evil things? We have recently been looking to buy Kuma a personalized dog collar and tag, you know, to make it official :-). 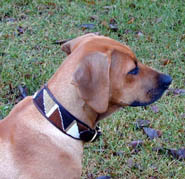 Being the artists that we are, we are looking for something that is a bit more individual than the typical dog collar. Here’s one company we’ve found that we like. We may have to order, but we think it would be worth it. 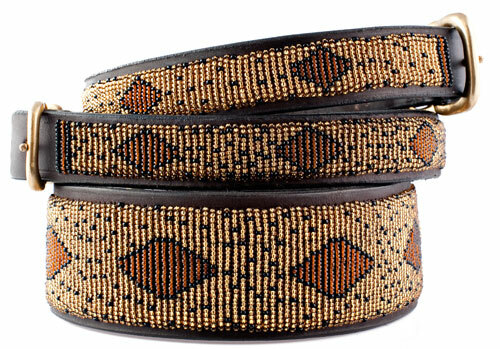 Maybe soon we will have some photos of Kuma sporting the Kenyan Collection. But for now, here are some recent candids. In the meantime, enjoy you President’s Day ( If you’re lucky enough to have the day off). Time for me to drink some tea, get some rest, and try to get better. Later. Hope you get well soon and is Kuma keeping you company to help you feel better? 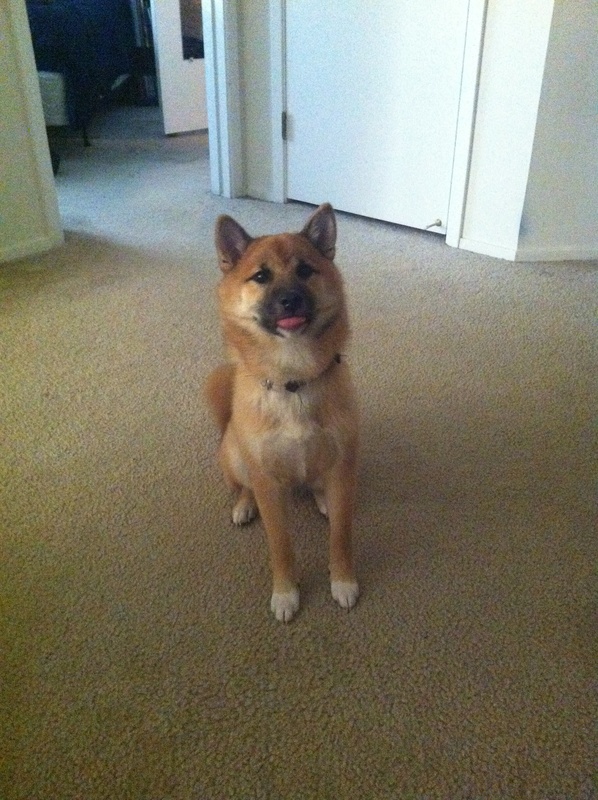 Sniff and lick the carpet – Yoshi is not a Shiba, but will sniff and lick the carpet where she recently ate a treat. Maybe Kuma has the same idea? Get every last speck of treat? Snorting (blowing air out of his nose?) – Yoshi does this and I think it is pushes out the “smells” in that spot so that Kuma can catch all the many odors. Or heck he got some dirt up his nose for pushing his nose so close to the ground? Hee Hee. Rustling bags to Yoshi means possibility of a yummy treat come soon? She would just stare at me until I either give her some or I tell her not for you and she walks away in disgust. Hee Hee. Thank you both so much for sharing cutie pie Kuma with all of us. He is really becoming a handsome Shiba Inu. I too miss his puppy look. But he still has some of it and he’s a cutie. Thanks Yoshimom. What you said about blowing the smells makes a lot of sense, and also licking the carpet. About the bags, Kuma gets afraid-suspicious when he sees bags, he gets happy when he hears them because it means a treat might be on the way. 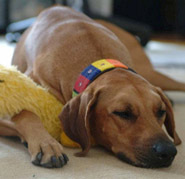 Good thinking about the kenyan collar, we will keep one of the collars he already has as a backup. Ooh! Ooh! 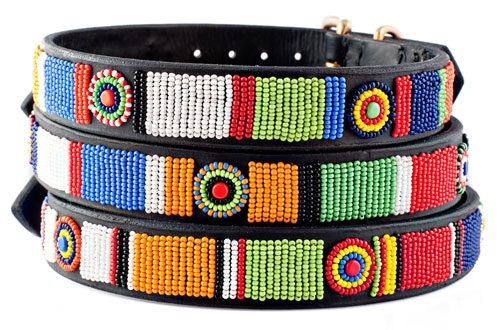 I saw those Kenyan Collection collars when I was searching for fancy duds for Bowpi the Basenji. I *love* them and think they’re gorgeous… but IIRC, they don’t do them in Martingale/limited-slip style. 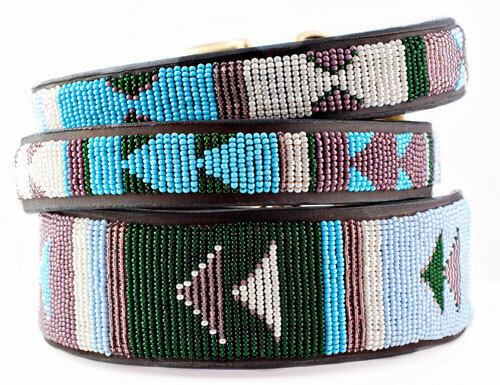 And they’re so darn pretty, I would be afraid of the beadwork getting messed up if it was our daily use collar. Still, I hope to get one for her eventually. If you do get one, let us know what you think! 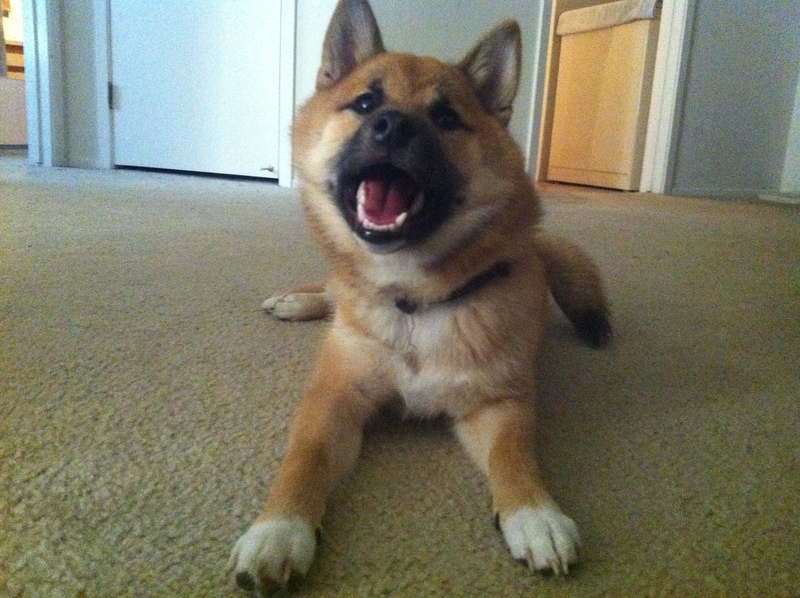 Usually a Shiba is pretty much full grown around 8 months or so. They’ll put on a bit more mass until they are about two, but if they aren’t going up anymore that’s about how big they’ll be. I like the top collar in the second picture, very cool looking! My Grandmother used to go to Africa (Senegal) with her church. She has an adopted Grandson there and sponsors two children in the village. How awesome is that? I mean, how many people who sponsor kids actually go and visit them? That was before I had a dog, or I’d ask her to get me something cool from her village to use as a collar for Conker. That would have been pretty awesome. Thanks so much for stopping by our blog. 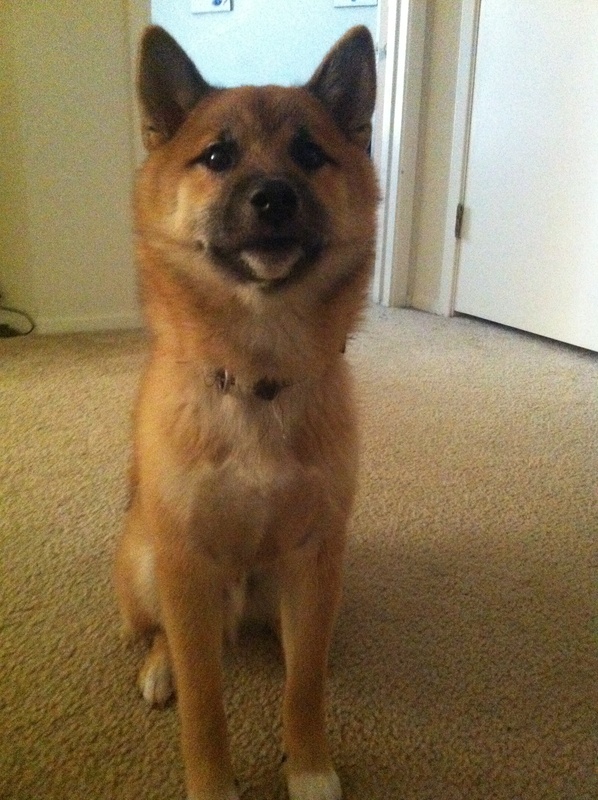 We will most definitely be contacting you soon to get Kuma fitted for a collar. Your work is amazing! !